Description: A map from 1901 of the Philippine Islands as a possession of the United States under the Treaty of Paris at the end of the Spanish–American War (December 10, 1898). The map shows the major islands, cities and ports, terrain, rivers, surrounding seas, and coastal features. 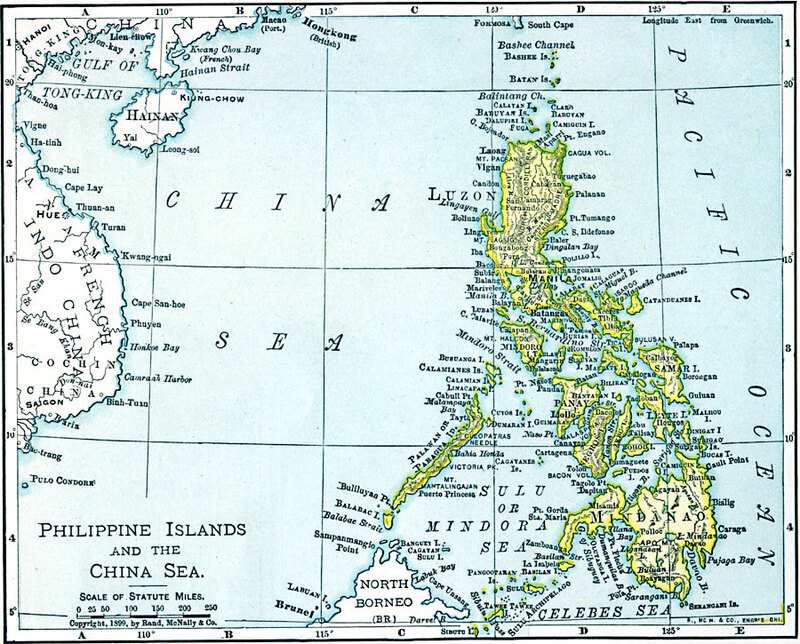 The map shows the relative location of the Philippines in relation to China, French Indochina, and North Borneo.